In our culture formerly accustomed to having the day punctuated at regular intervals by steaming cups of “chai,” urban trends took to the coffee shop culture with great gusto. The plush couches, casual setting, pop music and free Internet have lured many audiences who prefer their newer, snazzy counterparts – and are willing to pay the premium. 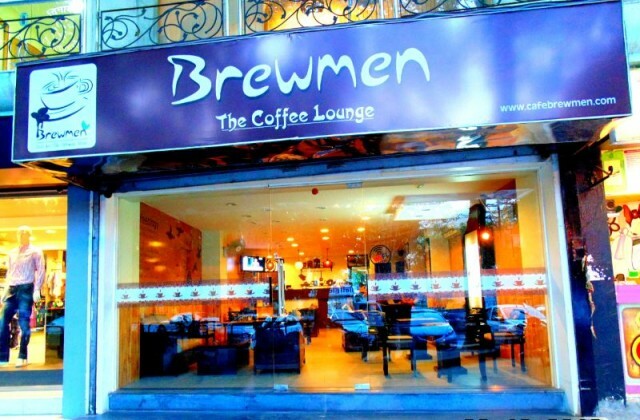 Café Brewmen, The Coffee Lounge situated in Hitawala Complex, New Fatehpura, Panchwati, Udaipur is owned and managed by three young professional entrepreneurs having experience in world class 5 star hotels. 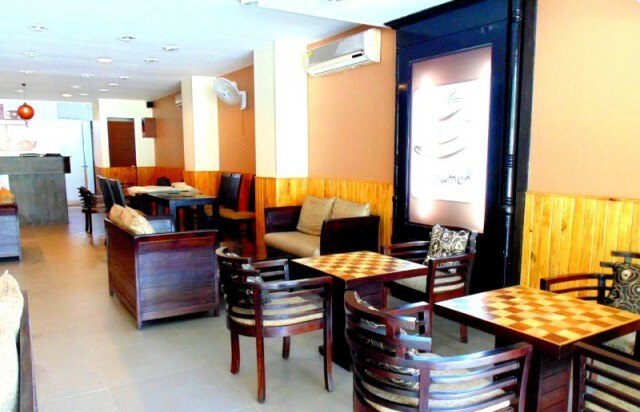 They offer the best blend of Coffee, choice of teas, burgers, sandwiches, pizzas, delicious pastries and a medley of cold beverages, with premium service standards and hospitality, thus carving a niche in Udaipur. Mr. Abhiraj Singh Rathore is a versatile, adventurous and fanatical young entrepreneur with a sound understanding of all aspects of hospitality and demonstrated ability of success. Basically he is from Jodhpur and studied in Nainital. He did his hotel management course from Ram Institute of Hotel Management and Catering Technology, Dehradun. He worked as Supervisor at The Oberoi Hotels and Resort, Jaipur for 2 years. Then after this worked in The Leela Kempinski, Mumbai as an Executive. He was supposed to join JW Marriott hotel in Delhi as an assistant manager but then he decided to start up with his own business and left his job. Mr. Amit Jangara, a young and proficient entrepreneur. He is from Haryana and he did his schooling from Chandigarh. He worked in Jet Airways for a month then he joined Best Western International as Assistant. Then he worked in The Oberoi Hotels and Resort, Jaipur. Then he decided that he will not do job anymore and start with his own business. Sagar Miglani, a dynamic personality whose hometown as well study town Dehradun. He did his hotel management course from Blue Mountains College of hotel management and is skilled in Guest Service Management. He worked as guest service associate at Oberoi Hotels & Resorts, Jaipur. Then he left his job to start up with own business. 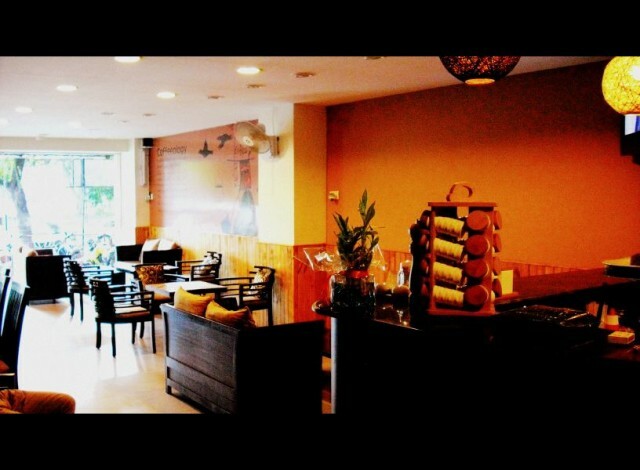 Q) So how did you plan to start such a café and that too in Udaipur? A. As we worked in a resort and we had to work rigorously for 12 to 13 hours, it was so stressful so all three on us met and decided to open our own ‘café’. But Udaipur was not there in our ambit at that time we had five cities in our vision viz. Dehradun, Delhi, Jaipur, Chandigarh and Masuri and we projected them. We had a small surveys in all these cities but the results were not satisfactory. Last year when I (Abhiraj Singh Rathore) came to Udaipur I had a survey I used to ask everyone that “What would you feel if there is a café in this city?” People gave positive response and even I thought that it will work out here. For a month I searched for a perfect place and fortunately I came to know about this place (Hitawala Complex, New Fatehpura, Panchwati) with open surroundings, good parking place and engrossing Saheliyon-Ki-Bari nearby. Q) Who is your inspiration? A. My(Abhiraj Singh Rathore) inspiration is my mother, she always motivated me. I always wanted to open my own café but it was very difficult for me to leave my job and start with a business but my mother inspired me a lot. She had a strong belief on me that I can overcome all the hardships and will achieve success. Q) What is the quality of service you provide? A. 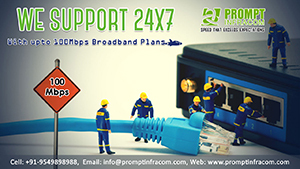 We are committed to provide highest quality services of product to our customers at a local level. We balance between What We Do and Who We Serve. We serve fresh food with quality product, quality service and quality atmosphere at affordable prices. Q) As you said you know What We Do and Who We Serve. When did you developed this habit? A. Actually it comes with experience, I (Abhiraj Singh Rathore) have been to a lot places in this country and outside this country which helped me to develop sense of customers taste, preferences and level of their satisfaction which they desire. I want to give this credit to my parents who were in tourism and made me understand about hotels and hospitality. Q) What is the customer satisfaction you hope to create? A. We envisage providing the kind of ancillary products and services that conveys a unique message and encourages our existing customers to bring their family members along and invite their friends as well. Q) Tell us about your experience. A. My father was in tourism so from childhood I (Abhiraj Singh Rathore) know about the hotels star ranking and about various kind of people in various cities and also about their various taste. I worked in both City and resort environment, so it becomes very easy to judge people and their taste. Q) What are the challenges you faced to open a café? A. We think that there are no big challenges in this world. According to us to set up café culture in Udaipur was a challenge, It took time to make people understand the difference between different flavours of coffee. Q) How did you find your partners and tell us about your relationship. A. Three of us were colleagues in The Oberoi Hotels and Resort, Jaipur. There we met and became friends and then decided to leave the job to start with a café. We have a very good mutual understanding among us and our ideas never conflicted. Before taking any decision we meet, give our opinion and pick the best of it. We respect each other a lot. Q) What do you enjoy the most about your business? A. It’s always great to hear first-hand from guests how enjoyable their experience was, whether it’s a review, a feedback or their constructive criticism, but it helps us to improve. People come here, meet new people, host a meeting or simply relax and enjoy their time within their community. This makes us happy. Q) Who manages the day-to-day operations in the cafe? A. All three of us manages everything with consistency. In case one is not present the other one administers everything and in this way we have developed a good understanding amongst us. Q) If you were a customer in your own cafe, what would you order from the menu? A. I (Abhiraj Singh Rathore) love to eat chicken tikka pizza in non-veg, healthy sandwich in veg, I love crunchy lover pizza, chocolate and brownie shakes, and ice mokka is my favourite and it is recently added in menu. Q) Do you change your menu according to the season? A. Yes, we keep on revising our menu in every 2-3 months. We add new items and flavours, we have summer menu, winter menu, spring menu etc. As this is summer season, we added a lot of citric and refreshing flavours. We keep a note of new dishes and introduce them and monitor how the patrons are liking this. Q) What do you feel sets you apart from the others? A. We never competed as we know what we are providing, what customer needs and about the market demand. 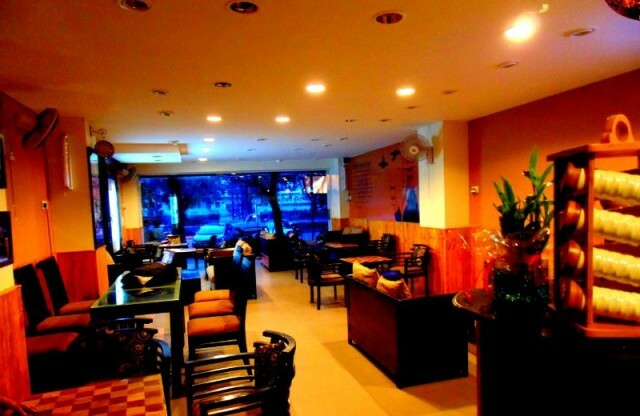 We got our way to impress customers by providing a diverse clean café with fresh food and attractive menu. Q) As you people are from different parts of India, what do you feel about Udaipur? 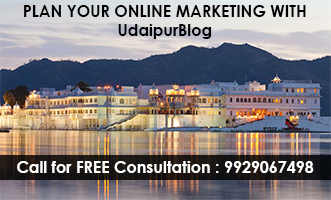 A. Udaipur is amongst the most beautiful cities of India with good climatic conditions. It has dual quality, quality of nature and quality of men. We love people of Udaipur the most as they are so gentle and generous. We would like to settle here only. Q) We have heard that you are about to open your branches in other cities also. What is the status? A. Yes, we are about to open shortly in Chandigarh, Pune and Jaipur. I love the way they have styled their menu on brow paper envelopes. Lovely coffee too. Wishing them all the luck .